Heal the World by Helping Those in Need – There is an old rabbinic belief that there are thirty-six righteous people on the planet who keep the world in balance. Trudi Birger was clearly one of those people. She was an exceptional person who reached inside everyone she met to speak directly to their heart. She exemplified what it means to be a good person. Anyone who knew her spoke of her amazing love and energy. Continue reading and watch a message from Dr. David Weinstein, AFDVI Vice President and DVI volunteer. 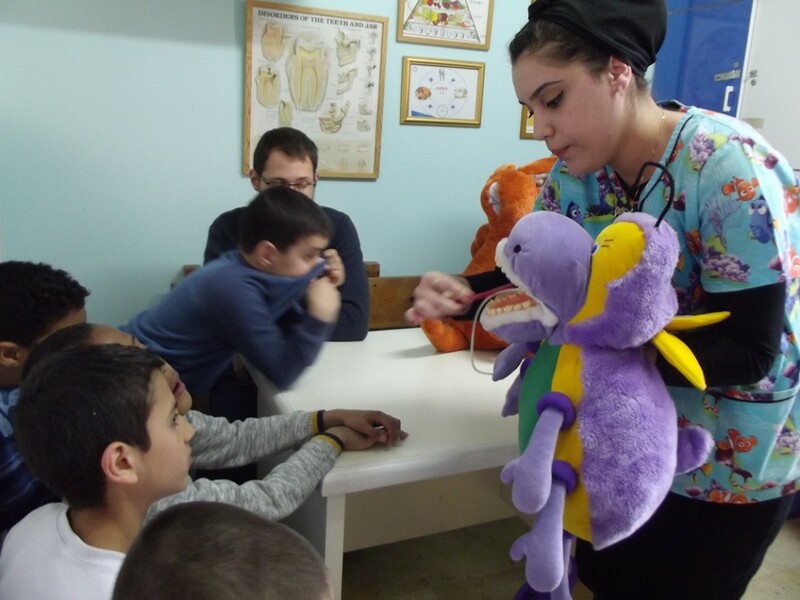 A New Person in Many Ways – Lev arrived at the DVI clinic with a mouth full of problems and unable to eat almost anything. After extracting his tooth, Dr. Palmon, the director of DVI’s Smiles for Seniors program, went to work preparing a set of upper and lower dentures for Lev. He is now a new person in many ways – his speech is clear, his nutritional intake is healthier, and he is enjoying all the favorite foods he was unable to eat for a long time! Continue reading. 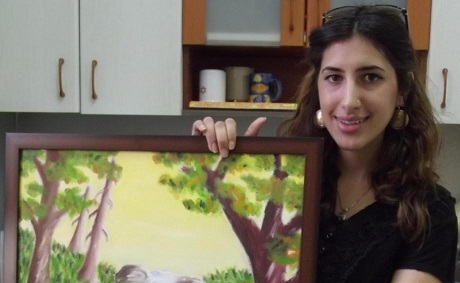 The Art of Smiles – Tami, an 18-year-old from a poor family in Jerusalem, suffered extreme trauma to her gums from orthodontic work she had received. Dr. Ed Jutkowski, a regular volunteer and a Periodontic specialist, took on her case and restored her oral health. After her treatment, Tami came into the clinic with a painting she made herself, dedicated to the DVI clinic and staff. 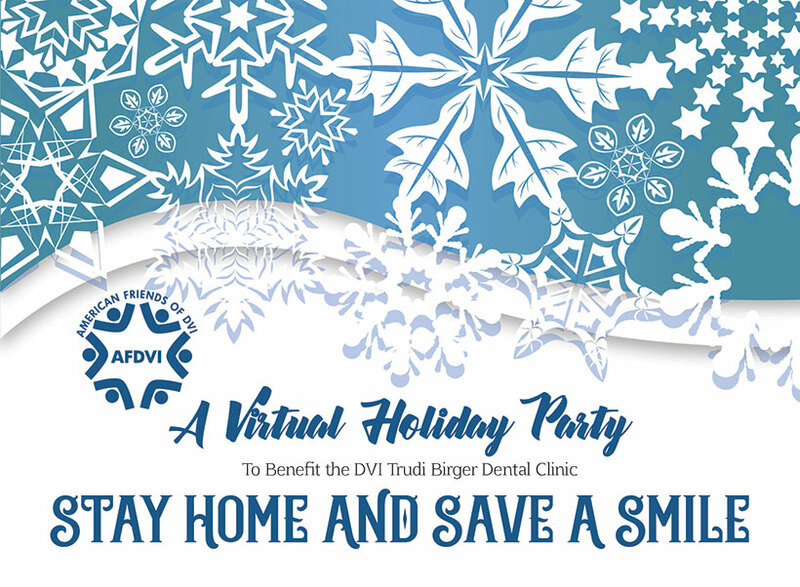 Read Tami’s thank you note to DVI’s staff and volunteers. DVI Celebrates National Good Deeds Day – Every day is a good deeds day at DVI, but to celebrate National Good Deeds Day in a very special way DVI provided free dental care and oral hygiene education to several dozen children from Arazim (Cedars) School for Special Education, a special needs school serving students ages 6-11 who are victims of domestic violence, neglect or other family issues and suffering from behavioral or other issues. Also participating were kids from Beit Lynn Schusterman, a shelter serving children ages 4-13 who have been removed from their family home due to abuse or neglect. Read the article in The Yeshiva World and see more photos here. 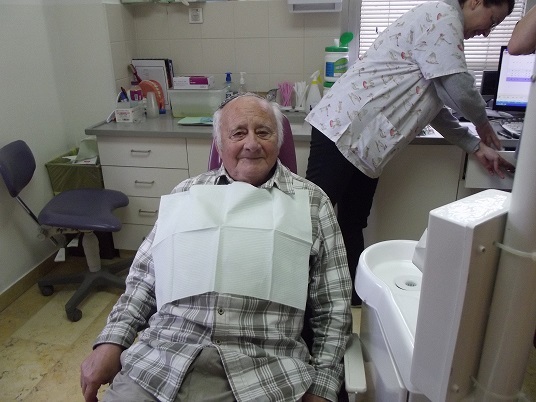 Holocaust Survivors Receive Care at DVI – Moshe came to DVI, as many senior patients do, because his dentures were causing him pain and he was having difficulty chewing. The dentures had deteriorated over time and were causing painful sores in his mouth each time he put them in or took them out. We’re happy that Moshe has found a place to heal in DVI. We know that he looks forward to getting new dentures that will allow him to eat and speak pain free! Read more. 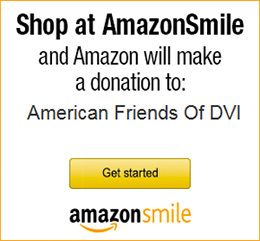 Dedicate to DVI – Dr. Saul Pressner is the Secretary of the Board of Directors of AFDVI and a yearly volunteer at the DVI clinic. 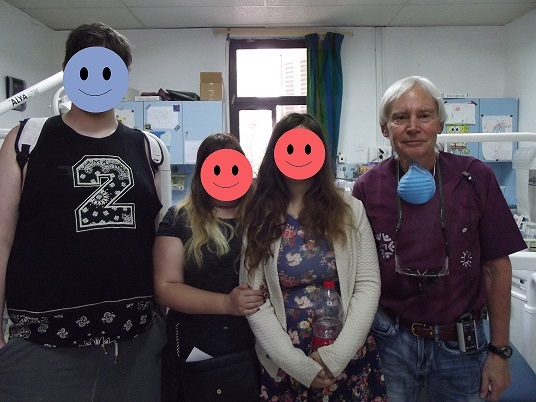 In fact, he volunteers multiple times each year because he loves the children, the staff and all that the clinic means to Jerusalem’s families in need. 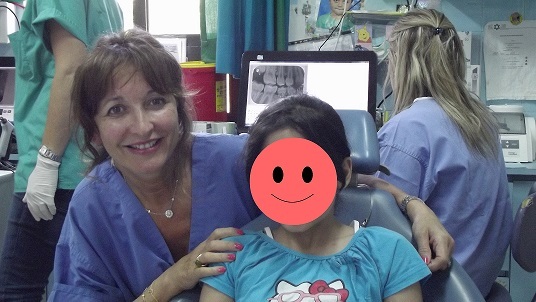 Read Dr. Pressner’s account of his experience at DVI. He also made a short video for you. Six Sisters, Six Smiles – The S Family children, all six girls ages 6-17, have been treated at DVI since their youth. As a result, they haven’t needed any major dental work. They come to the DVI clinic for regular checkups, x-rays, oral hygiene instruction and treatments. Mr. S could not adequately express his appreciation for DVI, citing the superb professional treatment and caring individuals he has encountered each time his girls were treated there. Continue reading. 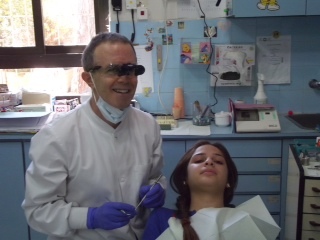 Dr. O Brings Smiles to Jerusalem – Dr. Osinovsky of Virginia has volunteered at DVI four times. He knows the positive impact it makes on his patients’ lives and what a rewarding experience it is for dentists. 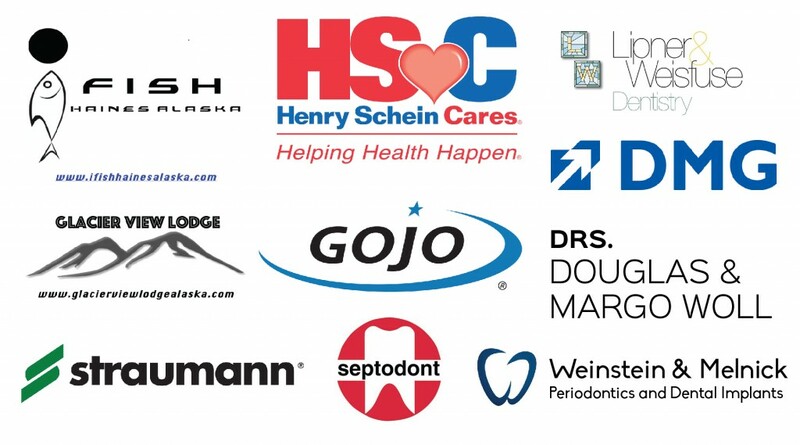 “Many dentists volunteer their time and skills to help those who can’t afford dental care. Those of us who have worked as volunteers know that the giver gets more than the person receiving help. The feeling of reward, the experience of a new environment, the opportunity to fulfill a doctor’s duty to the full, without reservations, are invaluable,” he told us. Read Dr. O’s story here. This Entire Place is a Blessing – One family with four children was referred to the DVI clinic by the Municipal Social Welfare Department and have been patients for many years. On this particular day K who is 20 and S a 23-year-old were in the clinic for sealants, fillings and x-rays. Both young adults fall along the Autism spectrum which often makes treatment challenging. As a result, many clinics won’t treat such patients or will use general anesthesia in order to provide treatment. DVI’s volunteer dentists are so professionally competent, patient, and compassionate that they have successfully treated these young adults and many others like them without any difficulty. Read more. Changing One Life, Changes Two – From the time she arrived in Israel from Ethiopia, Edi was so embarrassed by her severely discolored teeth that she would instinctively cover her mouth with her hand any time she spoke. Edi’s teeth had turned brown from over-fluoridation of the water in Ethiopia. Her condition prevented her from speaking in class and inhibited even her social interactions. She was a child you would never catch smiling. 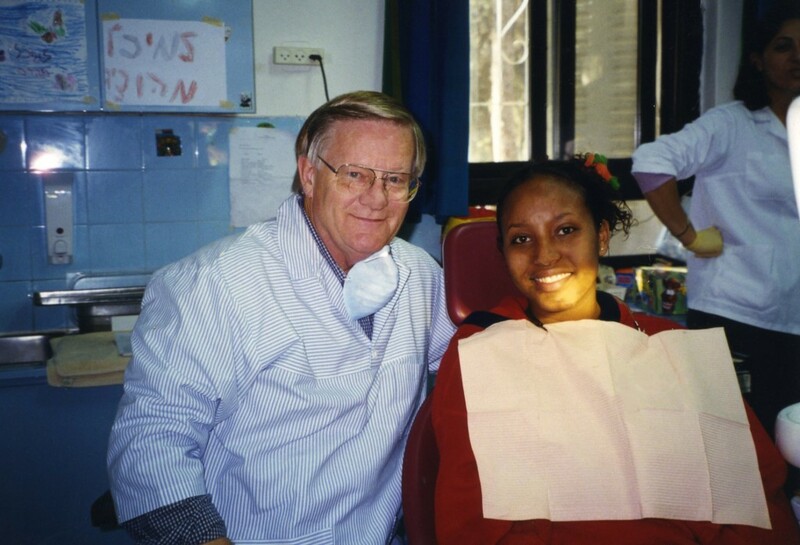 Edi was 14 years old on her first visit to DVI, which was also her first-ever visit to a dentist, and it was her good fortune to be assigned to Dr. John Bengtson. Continue reading. 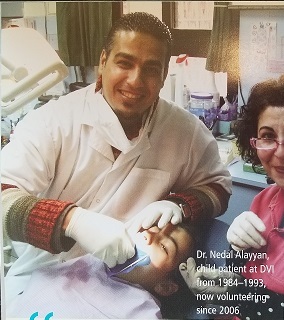 A Patient Becomes a Volunteer – Nedal Alayyan first arrived at DVI in 1984, at the age of seven. 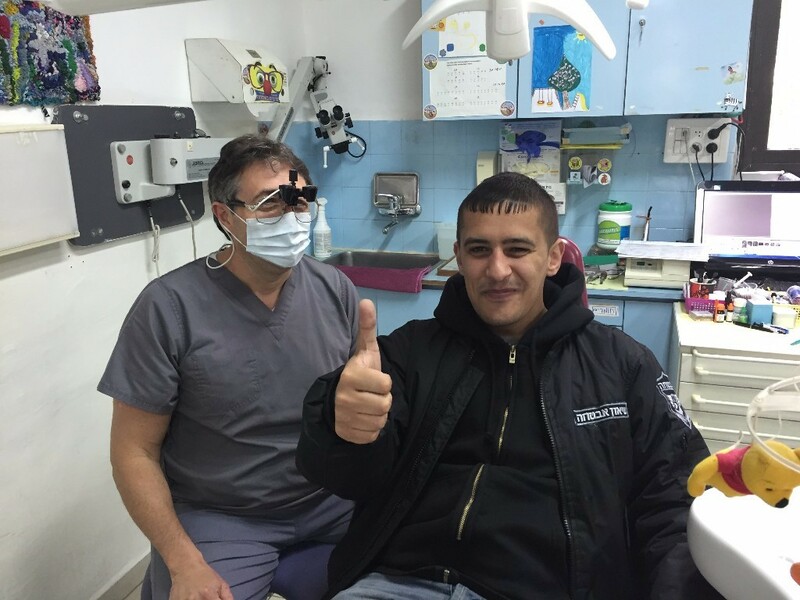 Like many of DVI’s patients, young Nedal was in pain with a puffy, swollen face by the time Jerusalem’s Welfare Department sent him to our clinic. He’d been missing classes due to dental problems. Volunteer dentists treated Nedal and he left the clinic in relief. 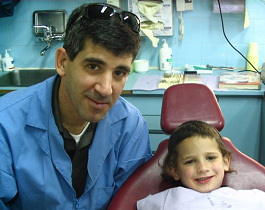 “From that moment, I knew I wanted to be a dentist – especially to treat children with kindness and compassion, because children really need that extra level of care,” he told us. Continue reading. Peacemakers – Ibrahim Abu El Hawa, one of the most important Palestinian peacemakers, was missing many teeth. He didn’t want to talk about it and didn’t want to receive charity. Ibrahim kept his mouth closed when smiling for photos and felt self-conscious when he previewed footage of a recent documentary about this work. He was having trouble eating and his speech had become slightly impaired. Ibrahim has been a DVI patient since May 2018 and he is being given the care he needs to feel and look better, no matter what he’s doing. More here. 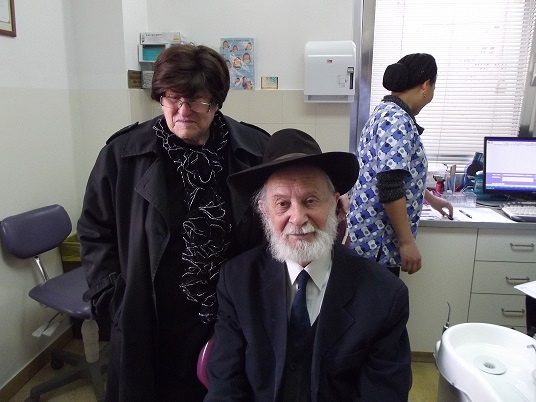 A Hidden Treasure – An article in The Yeshiva World introduces us to some of DVI’s patients and tells of the amazing work of the DVI clinic. “Based on her [DVI’s founder Trudi Birger] ethic of giving to those in need as if they were a member of your own family, the DVI dentists and staff do much more than dental work – they encourage youth to maximize their potential; they treat them with respect; they go the extra mile and often times provide patients with coats and schools supplies when seeing just how poorly off they are.” Continue reading here. Toda! Thank You! 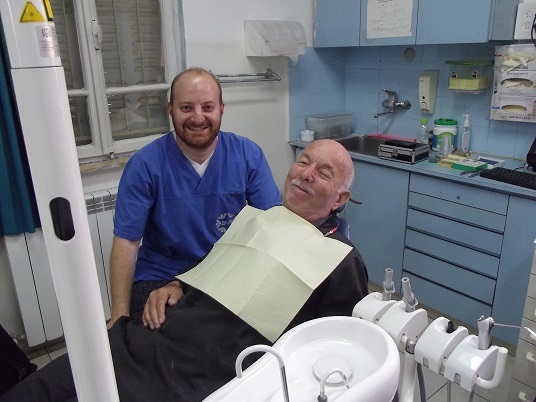 – Dr. Steve Katz of Connecticut recently traveled to Israel, but lying on a Tel Aviv beach on the shores of the Mediterranean or trekking up the awe-inspiring face of Masada wasn’t a part of the retired dentist’s itinerary. 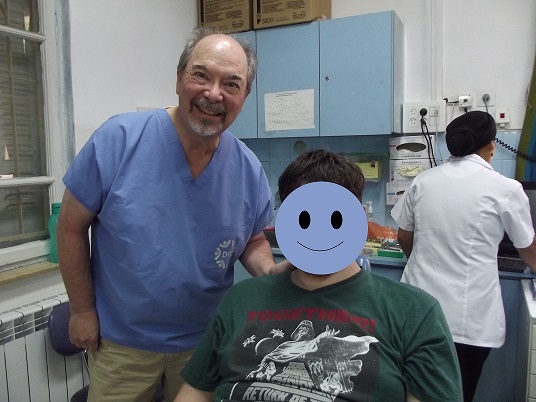 Instead, Dr. Katz spent his “vacation” volunteering at the DVI clinic. He returns every year because he knows how much it means to the kids he treats, and how helping them fills his heart. Continue reading. 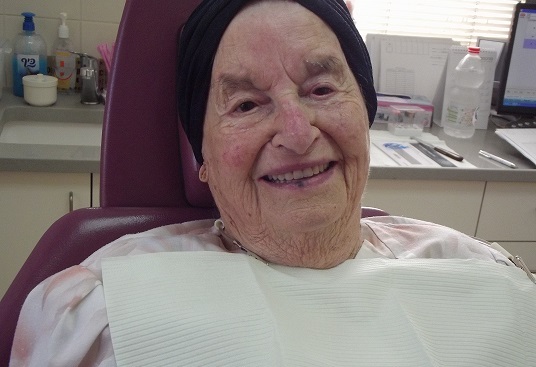 A Great-great-grandmother’s New Smile – Chava is a Holocaust survivor who came to DVI with dentures that were 22 years old. They were crumbling and she knew they needed to be replaced, but she could not find a way to afford new ones. So, she continued to suffer with ever deteriorating dentures. Thankfully, Chava and DVI found each other and were the perfect match. Now she feels like a new person and is very grateful for her new dentures. “I am blessed with many family celebrations and was worried about how I would look with missing teeth,” she told us. Now, she’s happy to show her new smile! More. More patient and volunteer stories here. Follow us on social media for new stories, pictures and videos every day in December.